Robert Fanfant graduated from both U of WA and Washington State University with degrees in Electrical Engineering and Material Science. Worked at Intel Corp manufacturing computer chips, transitioning into software development. Retired in 2014 after a successful career at Applied Microsystem, Microsoft and software consulting. 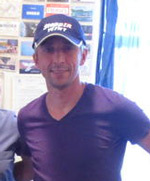 He obtained his novice license (WB7TDU) when 14 years of age, eventually obtaining his Extra license in the mid 90's. His primary passion is combining his love of travel and chasing DX. 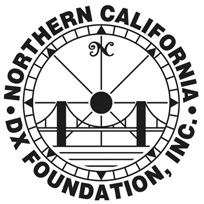 Retirement has enabled him to also give back to the amateur radio community by also becoming the "DX". His other passions include landscape photography, motorcycle adventure touring, gardening and spending time with family and friends. Rob is an active DXpeditioner and has been on the air from Montserrat (VP2MQT), Austral Islands (TX5Z and TX5D), Christmas Island (VK9AN), San Andres (5J0X), Sint Maarten (PJ7/N7QT), Saba (PJ6/N7QT), and Saint Lucia (J6/N7QT). 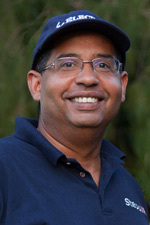 Jared (N7SMI) was licensed in 2011 and is approaching 300 DXCC entities worked, earned several DXing awards, and has developed a passion for DXing. Jared is an active contester, chaser of DX, and loves to travel. He plans on activating a new much-desired entity each year for the next several years. Jared designed and administers this web site. 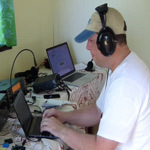 He was previously the team leader for the successful 2014 TX7G Marquesas Islands DXPedition. Sandro was licensed in 1980 and is an active contester and DXer. He has been previously licensed as YO3FBK, I4FBK, PA3FBK, and VE3FBK. Sandro has operated from 25 countries over the last 25 years, including Vatican City (HV0A), 1A0KM (Sovereign Military Order Of Malta), ZL7AAA (Chatham Island), etc. Adam is an active DXer and Contester. A team player, he enjoys contesting with friends in multi-operator environments. He is a member of the K7IR Sweepstakes phone team, and the K7BTW RTTY team. Adam has been the president of the Western Washington DX club since 2008. Professionally he is the operations manager for SteppIR Antennas. Before that, he spent over 20 years in heavy construction. He has operated from the South Cook Islands (E51EDX), PJ7/N7QT (St. Maarten), and FS/K7EDX (St. Martin). The photo is of Adam operating portable in San Juan County on Orcas Island in the Washington State Salmon Run with his friend Brian N9ADG. Hawk has been born into ham radio, licensed since 1974, before then as a second op of his father. He enjoys DX­ing and Contests from his farm north of Stockholm. Hawk is well equipped with large antenna systems from 160 to 10m. Hawk holds 9BDDXCC, 9BDWAS, 9BDWAZ – confirming 272 counties on 160m, 341 on 80m, 348 on 40m and very close to 3000 on DXCC Challenge. 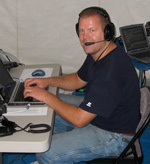 Hawk has been a team member of the /OH0, OF0MA, D68C, A52SM, NH8S and as a 2nd op from many locations over the globe. Professionally, Hawk has been working as a Managing Director for middle size electronic companies for over 20 years. For the last 7 years he owns and manages a security alarm company. Hawk is married and has 5 grandchildren. He is looking forward to the upcoming pileup, he will try working you all. Gunnar (Gus) was licensed in 1987 and began chasing DX and contesting quickly. In 1995 he started working for Ericsson, and traveled around the world for many years working with cellular systems and operating from several "not-so-rare" places, including W3, W4, W6, BV2, CE, DU7, CN8 and so on. He as been many times to Chile, and operated as CE3F and well as in CE5. In 1995 he purchased a piece of land and began building the incredible SK3W contesting and DXing station. During WRTC 2002 in Finland he represented Sweden together with Dan SM5IMO. Allan was licensed in 1963 and has always been interested in DX and contesting. He has built and operates a competitive station in British Columbia, and is a member of the BC DX Club and Orca DX and Contest Club. He has operated with the FP/VE7SV team and as PJ2/VE7SZ. Long distance motorcycle riding is another of his interests. Allan is a retired pharmacist and is happy to live close to his children and grandchildren. Hal entered ham radio in 1967 as WN8ZAT as a 15-year old. He maintained his Advanced Class callsign KC8FS for many years before changing to a more "contest friendly" W8HC in 2004. Hal has served as ARRL SM for West Virginia for two terms and is past president of the West Virginia DX Association. He is currently a DXCC card checker and is the "H" letter manager for the 8th Area Incoming QSL bureau. An avid DXer and contester, Hal is on top of the DXCC Honor Roll with 349 entities and has 9-band DXCC. He has operated several M/M contests from the QTH of W4MYA and has operated 6 CQWW Phone Contests from 4X as 4X0WV and 4X0C, both calls held by him. Hal has also operated on the DX-side from several of his "ham-cations" from 4X, EI, GI and EA8. He can also be found on the bands as DL/W8HC when he is in Germany. In 2012, Hal was a member of the NH8S Swains Island DXpedition and again in 2013 with the Pacific Islands DXpedition Group with the K9W Wake Island Commemorative DXpedition. 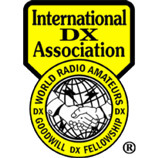 He will also be participating in the upcoming KH5 Palmyra DXpedition in January 2016. Hal enjoys working the pileups and looks forward to operating from Willis Island with this great team. We have assembled a great team of DXpedition pilots. Pilots will provide communication to the on-island team about propagation, band openings, pileup conditions, etc. The pilots do not have access to the log and cannot answer log, QSO, or QSL questions. Paul and Mark are helping with ground operations and equipment coordination in Cairns, Australia. Greg Wilson (N4CC) is providing support and is a backup operator. While planning his own TX3X Chesterfield Island DXpedition, Gene has provided incredible support and recommendations for our DXpedition.